They say that the future belongs to the curious. Curious people have certain traits that they possess and if you pay attention you’ll notice these traits right away. Curious people always ask “who?”, “what?”, “when?”, “where?”, and my personal favorite “why?”. Yes, they ask questions and lots of them. They like to get to the bottom of things and gain an understanding of the question that they are asking. You will always find a book in the hands of a curious person. First because they love learning, Secondly, because they love a good story. Thirdly, because it makes them great conversationalist. 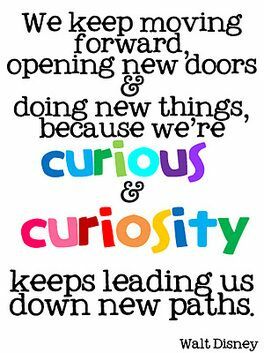 Curious people aren’t afraid to try new things, simply because they are curious. Their curiosity about the thing they are trying often leads to surprise, pleasure, and contributes to their overall happiness. Because of the many questions that they ask, you can rest assured that curious people are very knowledgeable and know about a plethora of subjects. So you definitely can ask them questions and often learn way more than you asked. 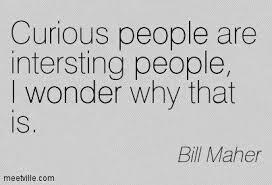 Curious people never stop learning, they never stop growing and they never stop questioning things. They always must know how something ends, thus leading them down new paths.